Although quality content is the basis for any successful blog, there's definitely more to blogging than simply writing articles. A blog is a great way for your company to educate leads and talk about interesting and relevant topics. 56% of bloggers who maintain blogs for a business say that their blog has helped their company establish a position as a thought leader in their industry. Everyone wants their blog to convert visitors into leads and to gain more subscribers. So what do you do? Most people will say "blog harder", thats not necessarily the case. You want to blog smarter. 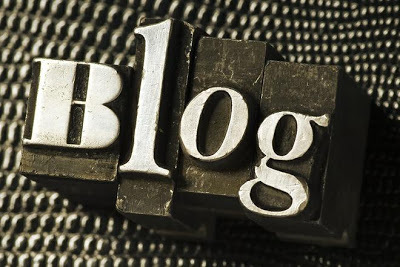 Your blog is one of your biggest assets. Here are 8 things you should be doing to take your blog to the next level, to get the most out of your blog. What is the reach of your blog? How many people are subscribed to your blog; 1 or 1,000? It is important that you take the time to increase your reach and subscriber base. As an industry thought leader wouldn't you love for your readers to get a friendly reminder every time you published a blog article? The main objective of any blog is to educate your readers and bring them back to your site. If your producing remarkable content, what visitor wouldn't want to come back. The first step to increase your subscribers is to see where your readers are coming from. What is your blogs main source of traffic; social media, email, organic, or direct? Adding secondary CTA's. Don't just add a CTA within each blog article, consider adding a CTA to the top or side of your blog homepage. You can also add a blog subscription CTA to other pages of your site. Just remember to make sure its appropriate. Your CTA is not going to fit on every page of your site. A blog subscription landing page. This is a great way to get your fans and followers to join your blog subscription list. Who wouldn't want to be the first person to read your blog articles. Include blog subscription CTA in some emails. The more you blog the more blog articles you are going to have. Unfortunately, it can be hard for your readers and audience to find those older blog articles if they aren't updated and optimized. Take a look at your top performing blogs and update them. This is highly important in an industry where it trends and topics are always advancing. 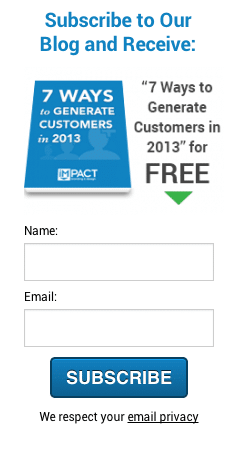 For example an article about generating leads through Facebook in 2009 is probably outdated and irrelevant. Publish a new blog post and redirect the old link to the new blog post. So you don't lose any SEO and links generated through the previous post. If you decide to use the first method to update older blog articles, ensure that you check to ensure that your article redirects to the new post. Using the second method once, you've edited the article it is important that your blog subscribers know that it contains current and up-to-date information. Send your subscribers an email upon editing the post. Every blog article should include social sharing buttons. Social media is a great source to extend the reach of your company as well as your blog. Unfortunately this is something many people forget. An indicator of how successful a companies blog is, is through the number of shares their articles have. If a company isn't publishing remarkable content, they are not going to have many shares. Don't be afraid to add follow us buttons. Who wouldn't want to simultaneously expand their social reach and the reach of their blog content? Upon reading your blog, not every visitor is going to completely leave your site. Most likely they're visiting other pages such as service pages, landing pages, offers and "other" pages. It's important to place the pages your blog readers visit the most in your navigation, sidebar, banner or footer. Keep your readers engaged with your site. Where your readers are going after reading your blog provides you with the opportunity to convert your visitors into leads or opportunities. One way you can do that is by adding landing pages and offers to the sidebar of your blog. Don't let your readers slip through your fingers. Grab their attention and use your blog as a tool to push your visitors down the sales funnel. Hopefully, you are routinely creating and publishing fresh and current content. Don't just use email marketing to promote new offers. If you email your list too frequently, eventually you will begin to see your unsubscribe rate to fly through the roof and who wants that to happen. Before you go about sending your email subscribers another email, promote your new offers on your blog. Get the most out of the content your creating. Don't forget to repurpose your existing content into new offers or blog articles. Consider turning your ebooks into smaller blog articles. This is a great way to push your readers to your offers. Especially if they are interested in learning more about that topic. If your company has been developing content for a while now, you’ve most likely created a ton of content that covers a wide variety of topics. The best part about all of that content, is that you can use it over and over again. Ways to repurpose your content? If you have a report, it can be broken up into several blog articles. Create a video or slide show presentation out of your how-to articles. Have your audio and video materials transcribed into written format. Build on existing content by expanding certain points, introducing new ideas and more. Share older popular content with new members of your audience. No one wants to reinvent the wheel, by creating new content every time. A great way to promote your Ebooks is by providing your readers with an excerpt in one of your blog articles. Just don’t forget to add a call to action at the bottom of the blog article telling your readers to download the full Ebook. Don’t let your hard work just fade away. Keep your content working for you instead by repurposing it. Adding images is a great way to break up your content and it's an effective way to grab the attention of your readers. We all know that readers love visual content. Therefore, it is extremely important you ensure that you're effectively naming the images on that page. All to often people will name their photos something like IMG2394870.jpg or DC543857385.jpg. Unfortunately that doesn't mean anything to your readers or to the search engines. When naming your images consider sticking with the theme of your content, pick a related keyword or keyword variation related to the content of your blog post or webpage. This has become more important with regards to how images are ranked in search results. Search engines use clues from the text to distinguish what your image is about. So be as clear as possible. You don't want to rank for a word that has nothing to do with your company or industry. Don't be afraid to go through all of your blog posts and optimize your images. Not only should you check the titles of your images but also look at the alt text. Use the alt text to describe your image in a way that not only the search engine robots will understand but also your readers. Your alt text should look something like this; alt="inbound marketing agency". 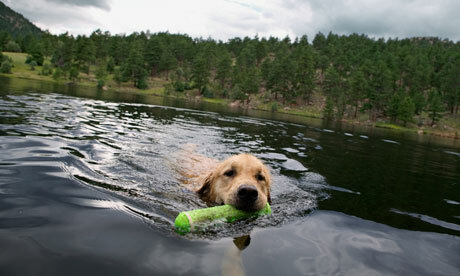 Best: alt="dog swimming in a lake"
Not every call to action design is going to grab the attention of your readers. Maybe a green button will grab the attention rather than a red button. Don't be afraid to conduct an A/B test on your calls-to-action. Depending on when your CTA's were created, some might not be performing as well as others. Take the time to update those calls-to-action. You want to increase conversion rates not hinder them. If you are going to update your calls-to-action start with the posts with the most traffic and interaction and work your way down the list.